CAVS-E staff members Glenn Dennis, Director, and Billy Peacock, Research Engineer, recently joined companies and organizations from the state to accompany the Mississippi Development Authority on its Business Development and Trade Mission to Japan. Representatives from the state participated in the 2018 JSAE (Society of Automotive Engineers of Japan) Annual Spring Congress, Japan's largest expo for automotive engineering, which showcases innovation and new technologies. These representatives also provided support during this event by helping to host the Mississippi Booth at the JSAE Automotive Engineering Exposition. It was anticipated that about 500 exhibitors and 80,000 visitors would attend the event this year. Japan is a significant investor in the state and this business development mission provided opportunities for Mississippi to strengthen relationships with Japanese companies, as well as opening doors to companies from other countries interested in doing business in the U.S. Mississippi is the only state in the U.S. where both Nissan and Toyota have plants. 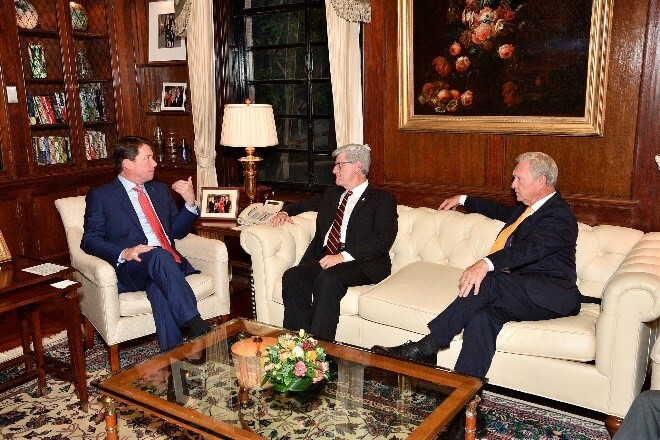 The partnership between Mississippi and Japan has recently resulted in other investments in the state, such as Yokohama Tires in Clay County, Ajinomoto frozen foods in Yalobusha County, and Calsonic Kansei, an auto heating and cooling systems supplier in Madison County. There are currently 47 different Japanese-owned companies employing over 10,000 workers in Mississippi. MDA's mission focused on helping facilitate growth in the state and reinforcing relationships with current investors by recruiting more foreign direct investment and encouraging foreign-owned businesses to expand or open new plants in Mississippi. The three-day 2018 JSAE Auto Engineering Expo provided opportunities to meet with leading companies, speak to business leaders, and participate in seminars and business forums. 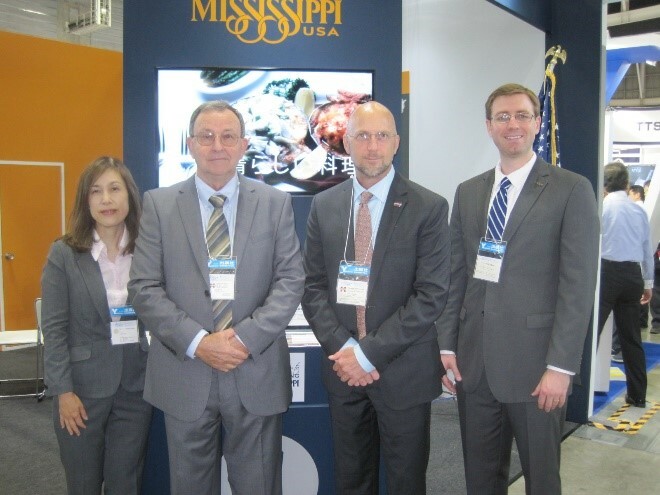 Many visitors to the Mississippi booth at the Expo were interested in new business opportunities in the U.S. CAVS-E staff and other Mississippi representatives informed visitors of the advantages of investing in expansions or new manufacturing and supplier facilities in the state. Others representatives on the trade mission from Mississippi were from Mississippi State University's College of Architecture, Huntington Ingalls, Airbus, Navagis, Yellow Creek State Inland Port Authority, Navigator Consulting, and Watkins & Eager. During this trip, CAVS-E staff were also able to make contact with executives and delegates of top leading companies and organizations from Japan, the United Kingdom, Europe, Canada, and the U.S. Some of these businesses included foreign international trade offices, industrial promotion organizations, global business planning agencies, marine and engineering offices, an environmental research institute, an autonomous mobility program organization, navigational consultants, a corporate executive association, and various U.S. Embassy offices. 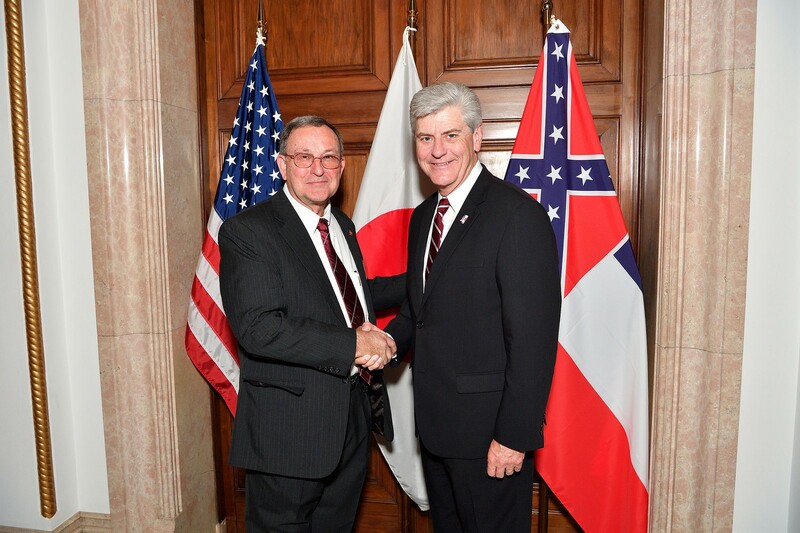 During their visit to Japan, CAVS-E staff members also attended a State of Mississippi Business Reception in honor of Governor Phil Bryant and hosted by U.S. Ambassador, William Hagerty. CAVS-E's efforts to support MDA's mission included productive discussions with foreign companies and organizations about research opportunities available through Mississippi State University. One of these opportunities involved the prospect of building production vehicles in Mississippi from a prototype developed in the UK. Other inquiries were made about programs and services available through CAVS on specific topics such as autonomous vehicles, Artificial Intelligence (AI) 3-D Scanning, auto materials, Test Track, FEA Analysis and Testing, and engine lab capabilities.